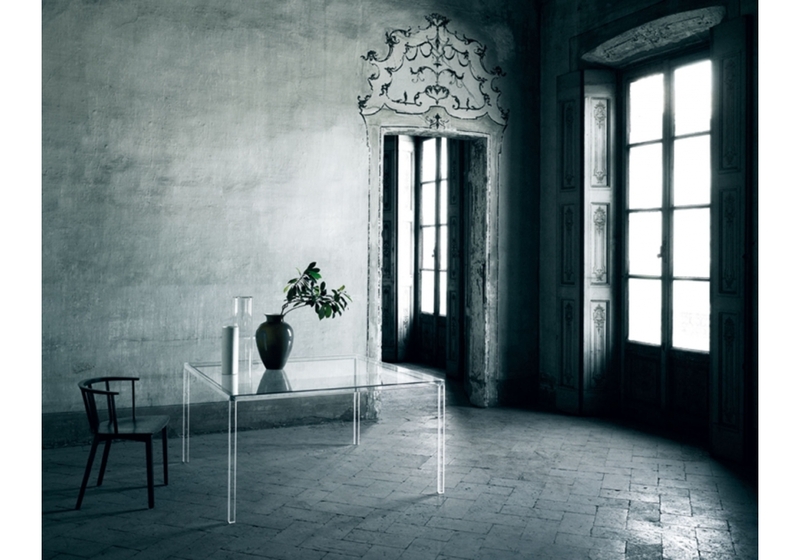 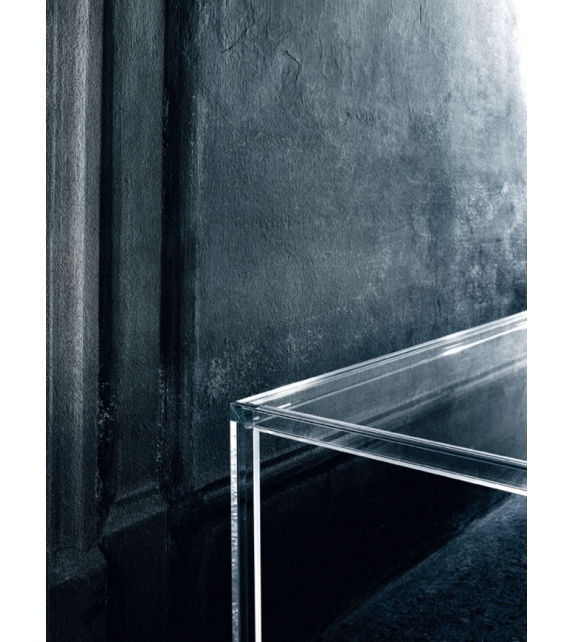 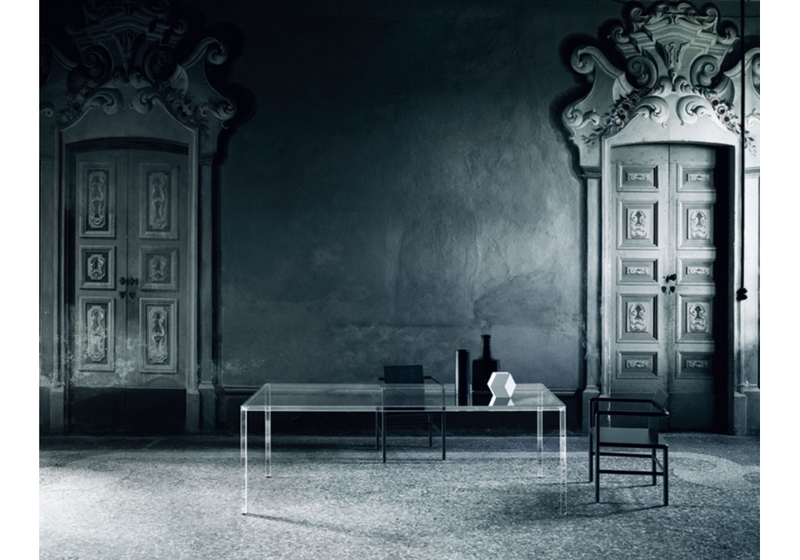 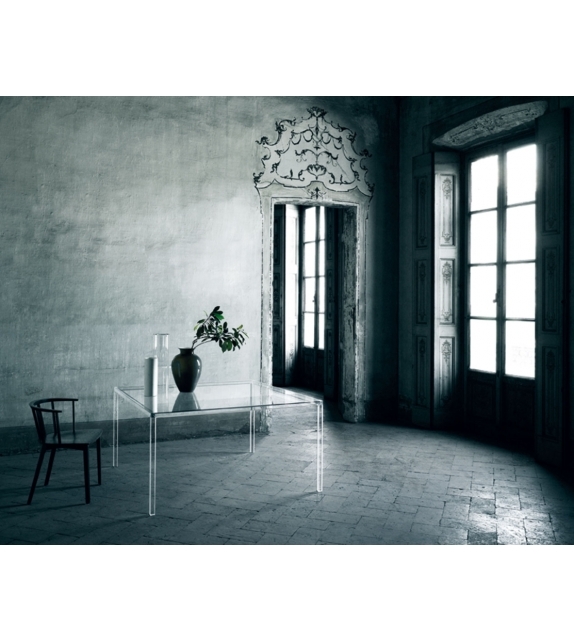 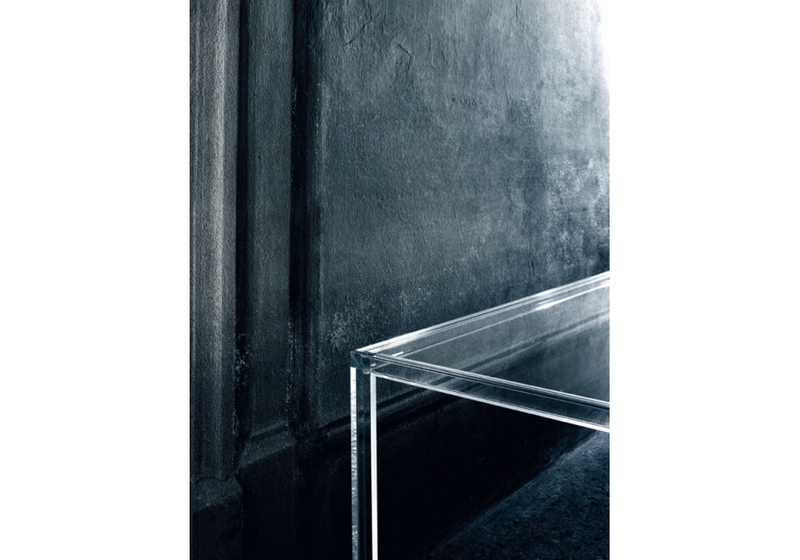 Glas Italia, Luminous table: tables with top in 6 mm. 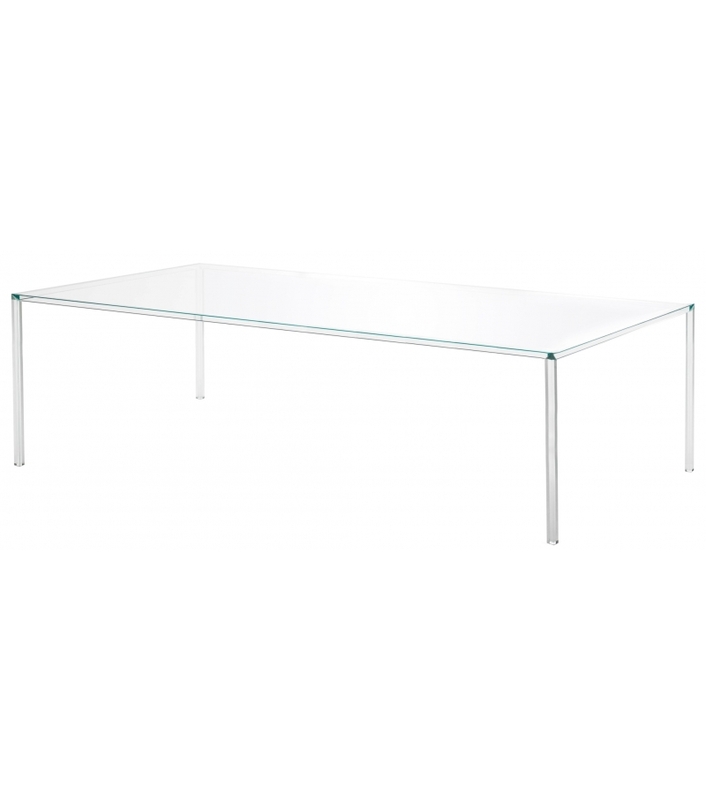 thick transparent extralight tempered glass and base in laminated 15+19 mm. 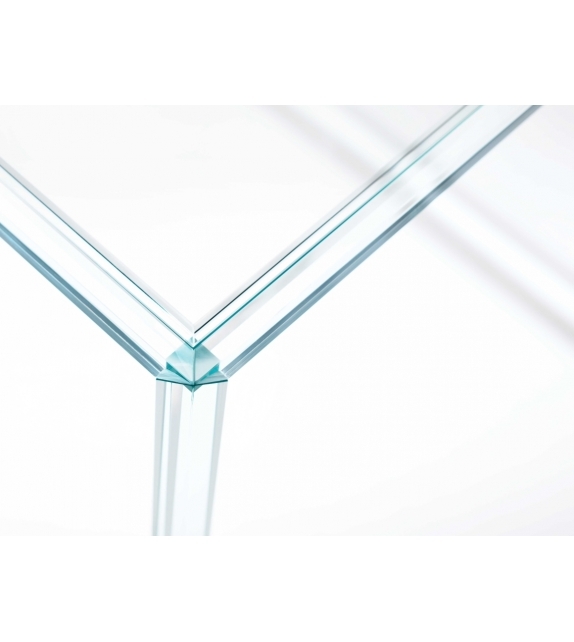 thick transparent extralight glass. 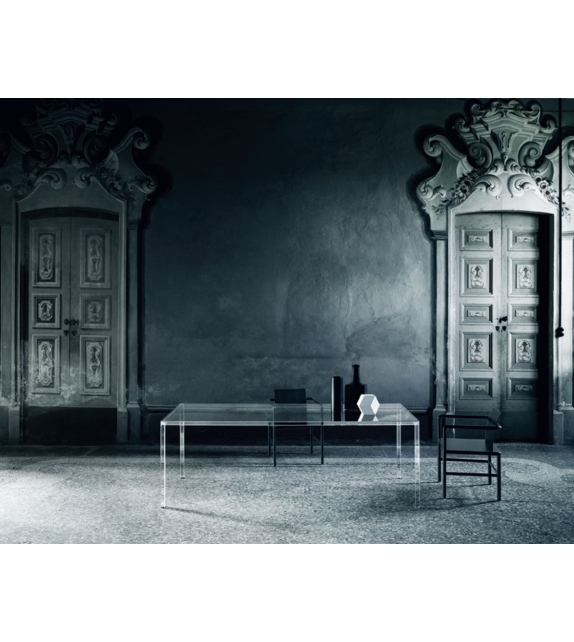 Glas Italia, Luminous table: tables with top in 6 mm. 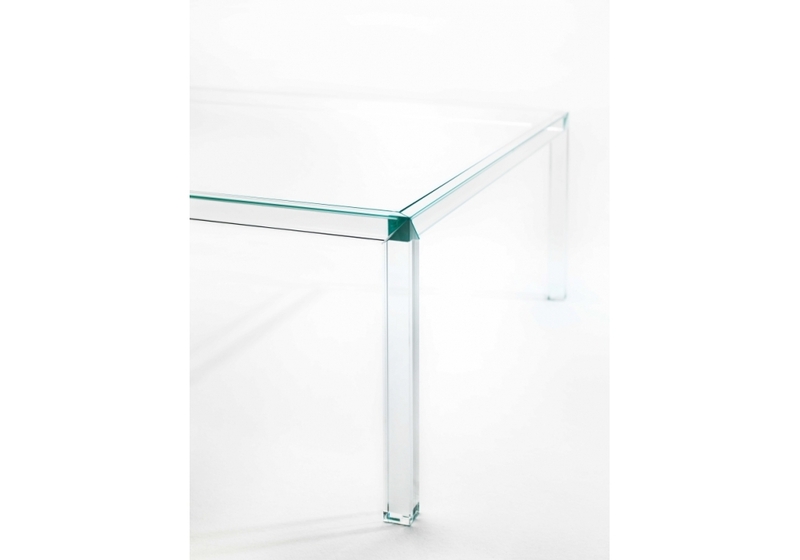 thick transparent extralight tempered glass and base in laminated 15+19 mm. 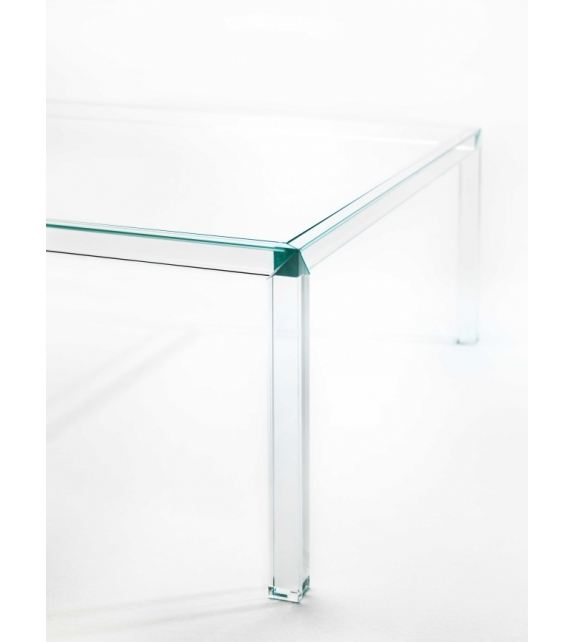 thick transparent extralight glass. 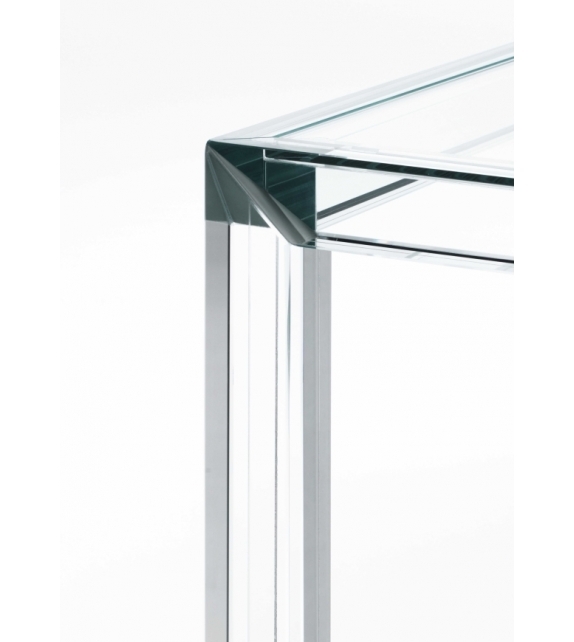 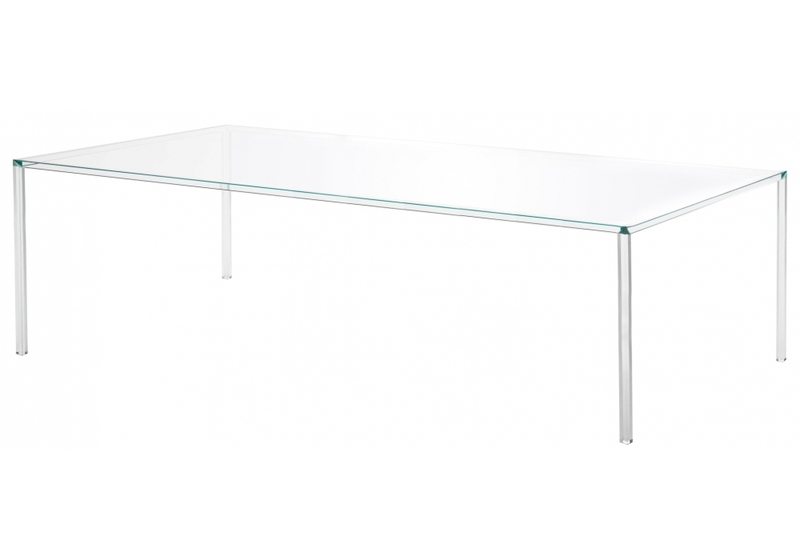 The sides of the table are rebated to allow the glass top to be inset flush inside the frame. 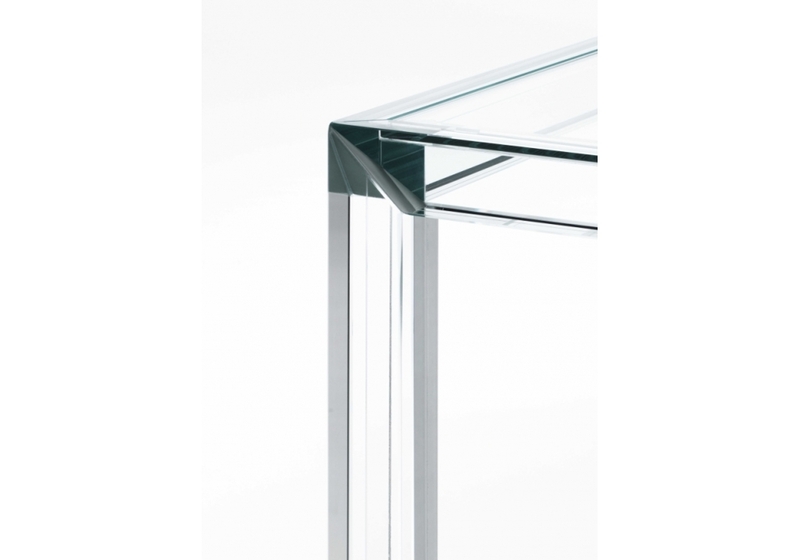 The joints are achieved by means of section cuttings and three-dimensional gluing of the table sides and legs. 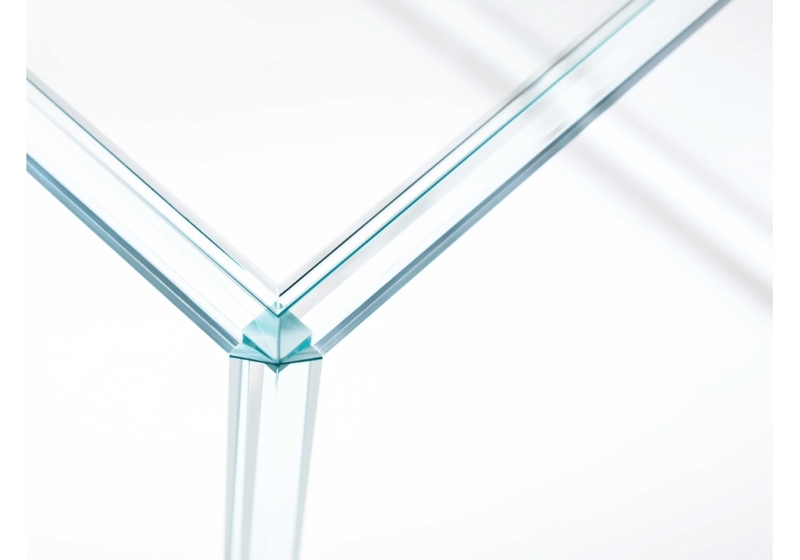 The exceptional formal purity and the extraordinary quality of detail have been achieved through complex and completely innovative glass manufacturing processes. Dimensions 220 x 90 x H 72 cm; 140 x 140 x H 72 cm.